Robert Moog was principle designer of the 2002 Minimoog Voyager, the instrument that brought the Moog name back to life. And here’s the thing: while the original was a classic, and maybe is worth experiencing in its “pure” form, it’s possible to recommend the Voyager as a genuine improvement. Apart from preset storage (you wimps), the Voyager starts with the original Minimoog voice architecture but allows deeper access to sound design. So there’s a dedicated LFO as a modulation source. There are two dedicated modulation buses, allowing you to shape the sound. You get separate envelopes for filter and amplitude. And the inner circuitry was redesigned (as synth expert/historian Marc Doty observed separately to me), making it a new synth based around the ideas of the original. It’s a performance-friendly, deeper, more modern Minimoog, with some of the basic structure, usability, and sound (ladder filters!) of the original. And all of these features are recreated on Blamsoft’s VK-1 Viking synth. (Available as a VST2 plug-in, compatible with macOS 10.11 or newer and 64-bit Windows XP or newer.) 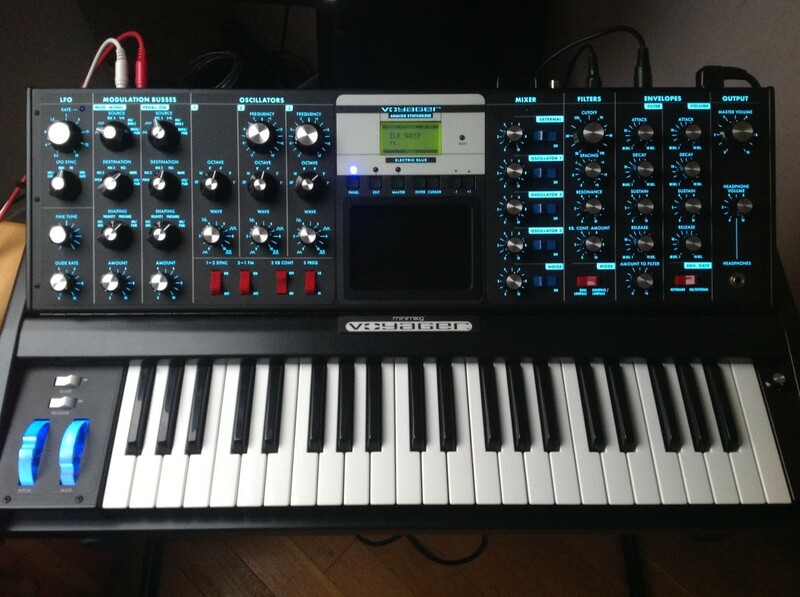 Now, whether this is the best Minimoog emulation ever is perhaps besides the point. It sounds great – enough so that I don’t mind just saving time doing an elaborate A/B comparison, and would get straight to music. It adds all the Voyager features. And, oh yeah, they let you set the price you want to pay. That’s great. You can actually try this as an instrument, then support the developer with the amount of money you’ve got, not the amount of money they think you should have. You get 228 presets, but honestly, this thing is really fun to program – thanks to the LFO and two modulation buses. You can choose drive modes for the filter, which escalates the ladder filter from kinda normal to kinda awesome. An there’s enough modeling of instability to make this thing feel alive. Now, someone needs to make a nice iPad touch template for it – Bob unintentionally predicted the iPad with the Voyager’s X/Y modulation panel, right? But if those don’t appeal to you musically, a nice little community has formed around the VK-1 with tons of other music made just with this one synth. I’d been often returning to Native Instruments’ Minimoog-inspired synth Monark – especially now that it has a Reaktor Blocks edition, so you can break it apart and use it as modules. But it’s really nice having the architectural additions of the Voyager, and the pay-what-you-will nature of the VK-1 makes it ideal for exchanging projects with others. And raise a glass to Dr. Moog’s various accomplishments – but also to the Voyager, the synth that made the Moog renaissance possible, and all the great Moog Music stuff that has followed since. The Voyager, in electric blue.